Last Pacific Electric Train on Monrovia-Glendora run, 1951. 3 mages. 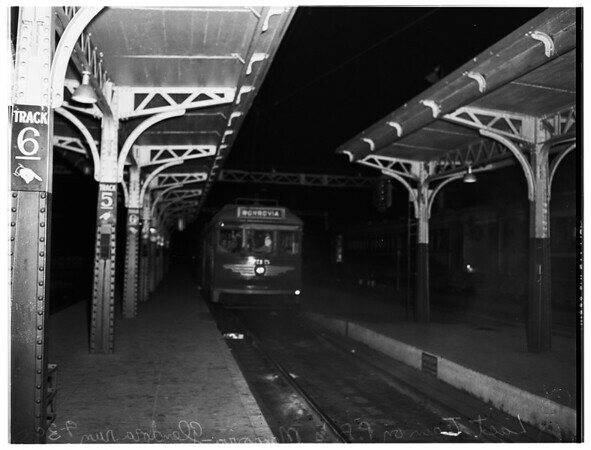 Last Pacific Electric Train on Monrovia-Glendora run, 30 September 1951. Last train followed by special train of model railroaders club members. Busses will replace electric trains.